A wonderful time was had by all at our First Nazarean Essene Community Glastonbury Anniversary Temple Thanksgiving Celebration and Garden Party. 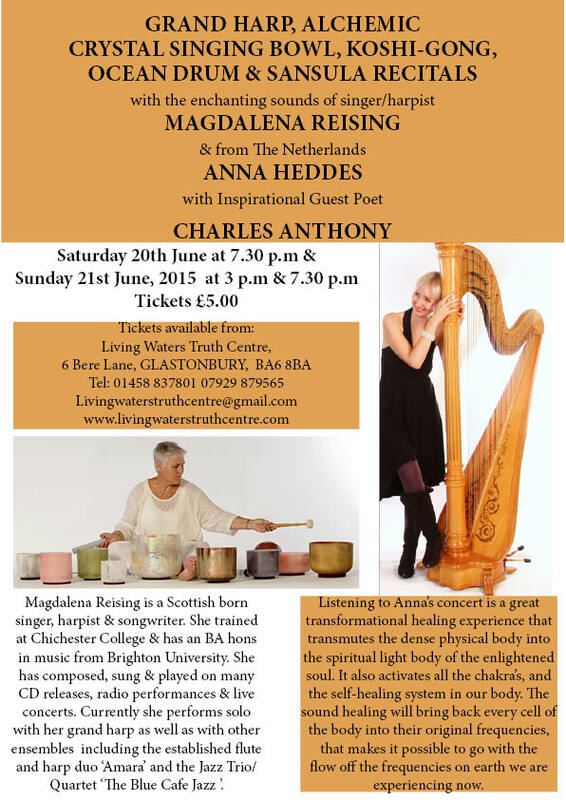 International Scottish Singer, Composer and Grand Harpist Magdalena Reising played for us at various times throughout the day, and was accompanied by the Inspirational Spiritual Poet Charles Anthony. Please see the photos! If you missed their blissful and very entertaining recitals yesterday, there will be two more performances from them both at the Centre later on today at 3:00 pm and 7:30 pm. Do come along and tell all your Nazarene internet Community friends also. They really are GREAT! Tickets are available still at £5.00.